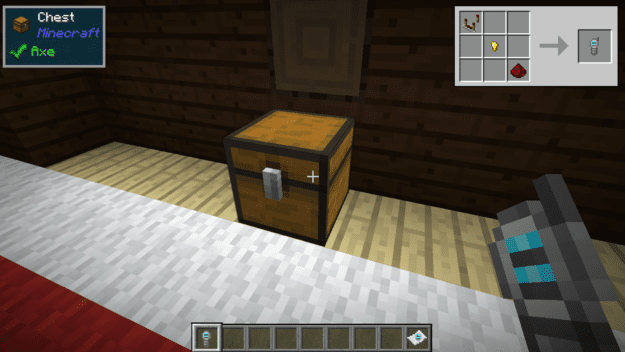 The One Probe is a device that gives you some more detailed information about various blocks and containers in your world. 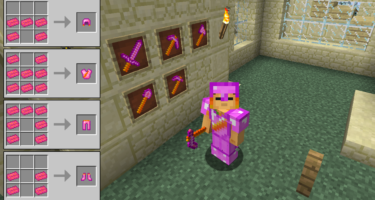 Just point it at anything and the HUD will display the information available. 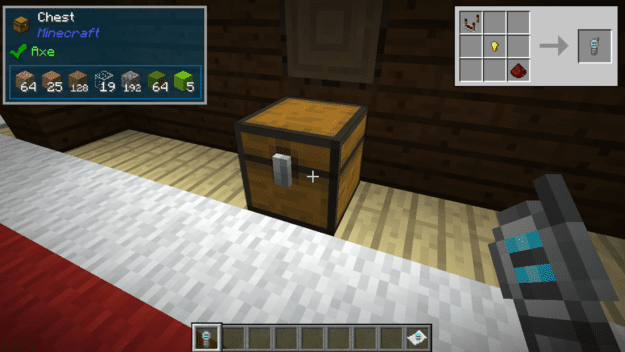 If you hold shift while aiming you will also see some additional details if they are available, such as the contents of a chest. 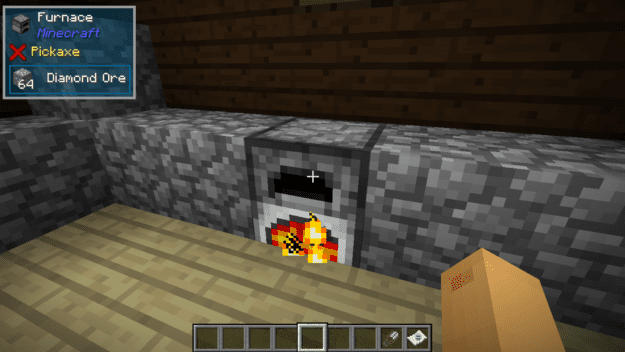 Pointing at furnaces will also display what is actively smelting. 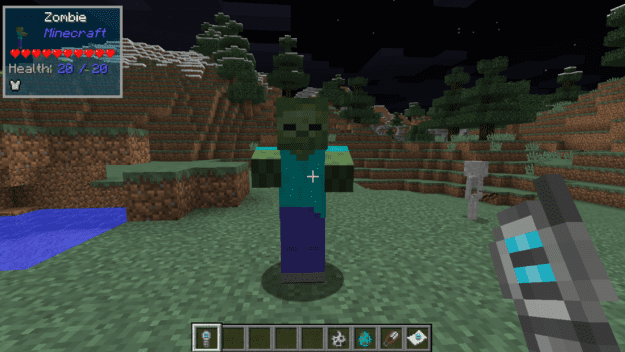 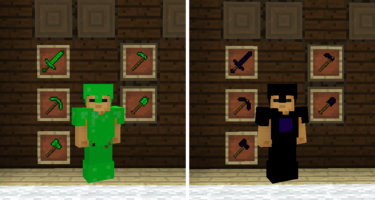 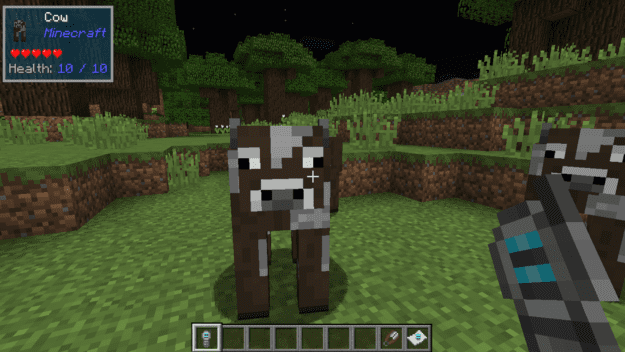 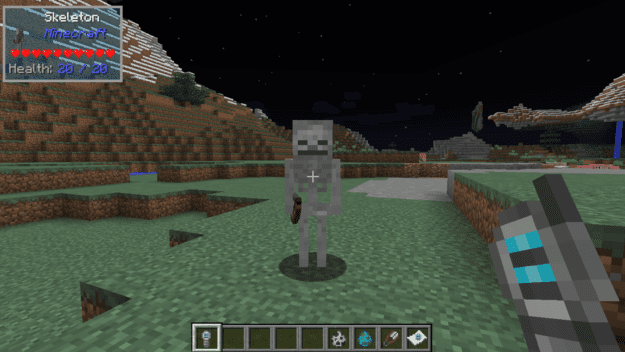 If you point it at various mobs you’ll see health and armor stats as well. 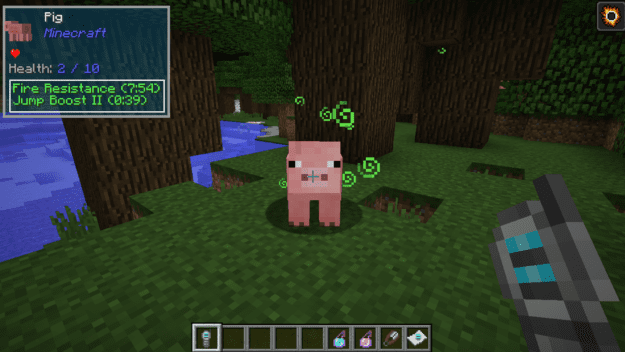 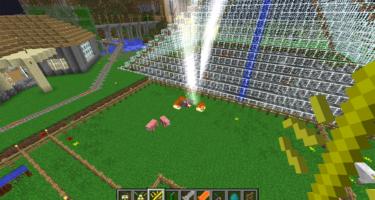 Plus holding shift on a mob with potion effects will also display what is currently active with them. 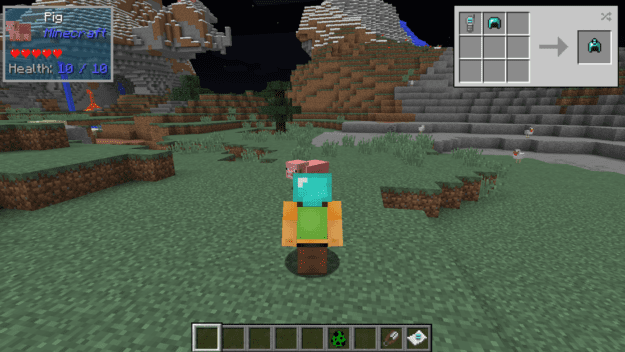 And if you want something more convenient without taking up an inventory slot then craft the probe helmet and reap all the same benefits while also retaining a diamond level helmet. 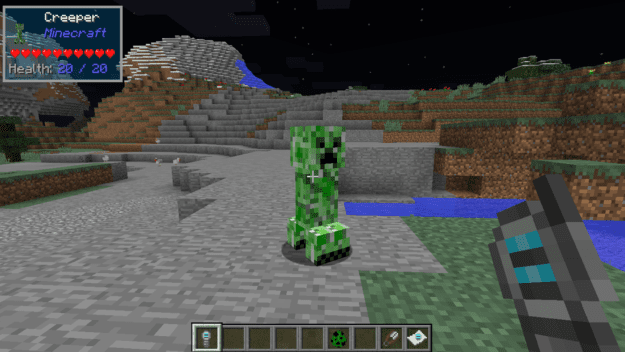 Does it work with other mods?